Chrome single prong display arms for our grid wall panels. This product is 4 inches in length (100mm). Other sizes available - 150mm and 200mm lengths. End fitted with black PVC end stop. 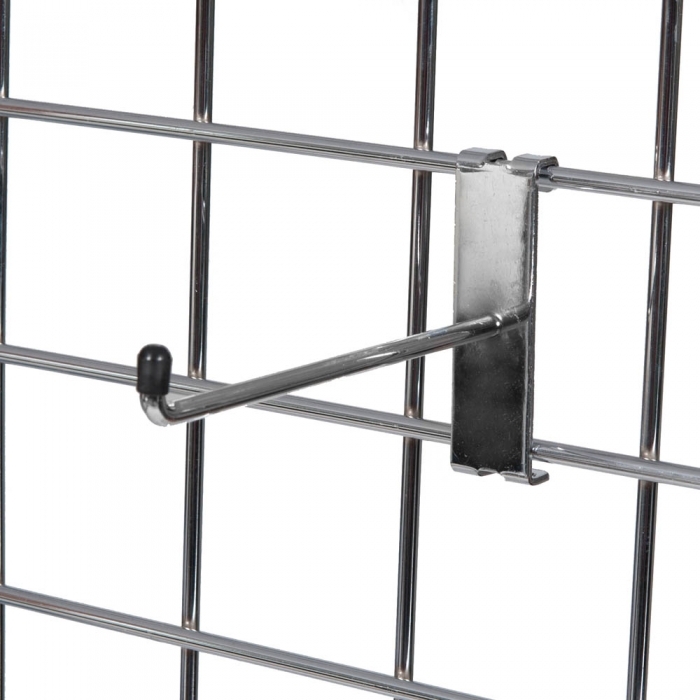 Strong 1/4 inch diameter prong arm for use with our grid wall mesh panels, which just simply hook over the grid. Chrome finish with black plastic tip for extra safety. Great for visual merchandising, and hanging a variety of products.